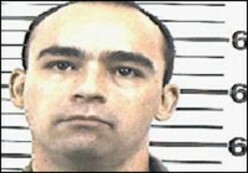 executed by injection on 20 March 1995 in Oklahoma. Grasso strangled an 87-year-old woman in Tulsa with her own Christmas tree lights on Christmas Eve 1990 while stealing a cheap television set and $12. For his last meal, Grasso ordered two dozen steamed mussels; two dozen steamed clams; a Burger King double cheeseburger with lettuce, tomato, onion, mustard and mayonnaise; a 16-ounce can of Franco-American spaghetti with meatballs in tomato sauce, to be served at room temperature; half a dozen barbecued spare ribs, two large strawberry milkshakes, and a half a pumpkin pie, with whipped cream and diced strawberries. Asked if he had anything to say, his last words were as above. What?? No Bytes on Sunday?